Most often, all of your child’s primary teeth will eventually be replaced by permanent teeth, but you shouldn’t consider them less important — there are serious consequences for losing a primary tooth prematurely. Besides providing a means for a child to chew food and speak clearly, primary teeth also save space for the permanent teeth to erupt; a premature loss could lead to malocclusions (bad bites) that may result in costly orthodontic treatment later. That’s why it’s important to fight tooth decay in primary teeth. By keeping them healthy and in place until it’s time for their departure, their permanent replacements have a better chance of erupting into their proper positions. Begin daily oral hygiene when teeth first appear. Begin brushing with fluoride toothpaste as soon as the first primary teeth come in. Brushing removes bacterial plaque, the primary cause of tooth decay, and fluoride strengthens enamel. Because they tend to swallow toothpaste rather than spit it out, use just a smear of toothpaste for infants and toddlers, and a pea-sized amount for ages two and older. Start regular dental visits by the child’s first birthday. By beginning regular checkups around age 1, we’ll have a better chance of discovering developing tooth decay or other problems early. 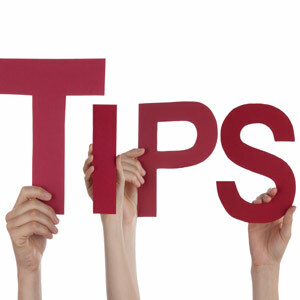 You’re also setting a good foundation for what should be a lifelong habit for optimum dental health. Limit sugar consumption. The oral bacteria that cause tooth decay feed on leftover carbohydrates like sugar, so you should limit intake especially between meals. One culprit to watch out for: a bedtime bottle filled with formula, milk or fruit juices, all of which contain carbohydrates (sugar). Water or no bottle at all is a better alternative. Consider topical fluoride or sealants for extra protection. In some circumstances, we may advise protecting the enamel of newly erupted teeth with an applied sealant. These protective coatings fill in porous pits and fissures in young teeth to deny access to disease. Supplemental fluoride will further strengthen young tooth enamel. Taking these measures and remaining vigilant to the first signs of decay can go a long way toward preserving your child’s teeth. Their future oral health depends on it. What Happens at a Dental Checkup? Find out the importance of visiting your dentist for routine checkups. If you want to maintain a healthy smile, visiting our Downingtown, PA, dentist, Dr. Carl Horchos, should be a no-brainer; however, if you aren’t coming in for routine checkups and you feel like your teeth and gums still look and feel great, you may wonder why you even need these checkups. We are here to explain what goes into your six-month cleanings and how they help you maintain good oral health. What happens at a routine dental checkup? Every six months you should visit your Downingtown general dentist for routine cleanings and checkups to protect your smile from dental issues. Of course, if you are someone who is at a high risk for decay, gum disease, or other issues, you may need to come in more regularly. If it’s your first time coming into our office, then we will also take time to really get to know you and your health. This means having you fill out paperwork regarding your own detailed medical history (everything from chronic health problems to hospitalizations to medications you are currently taking). This will allow us to understand your specific health needs so we can provide you with safe, effective care. One of the most integral parts of a dental checkup is to clean your teeth. Even if you brush and floss regularly there are still areas you might miss. This is where our dental hygienists come in and can remove plaque and tartar from your teeth. Remember, once plaque hardens into tartar it can’t be removed with a simple at-home toothbrush, only we have the special tools to get rid of tartar. These twice-a-year dental cleanings can help keep decay and gum disease at bay. Besides giving you a clean, radiant smile we will also take time to examine your teeth and gums to look for any warning signs that could mean that you are dealing with problems. We will check the gums to make sure there are no warning signs of gum disease. We will also perform a quick oral cancer screening to look for lumps, lesions, and other suspicious growths that could be cancerous. About once a year your Downingtown family dentist will also recommend getting X-rays, which can detect decay, bone loss, and other issues that we may not be able to see with the naked eye. X-rays are a great way to really see what’s going on with your smile and to determine if you require dental treatment. Remember that the sooner we detect a dental problem the easier it is to treat. Chestnut Dental Associates is dedicated to helping you maintain that beautiful smile. No matter whether you need to schedule that six-month checkup or you are dealing with dental issues, our expert dental team in Downingtown, PA, is here to help. You may be familiar with a dental implant used to replace a single tooth — but implant technology can do much more. Implants can also support other restorations including total teeth replacement on a jaw. The reason they're so versatile is because implants replace the tooth root as well as the visible crown. We use a metal post, usually made of titanium, which we surgically implant in the jawbone as a root substitute. Because of a special affinity with titanium, bone around the implant grows and adheres to it and creates a durable bond. With a single tooth replacement (the implant's original purpose when they were introduced in the 1980s) we attach a life-like porcelain crown to the individual titanium post. But with their continuing development we've adapted implants for other applications, like using a few strategically-placed implants as a stable platform for removable dentures or fixed bridges. We're now able to use implants to support a full prosthetic (false) dental arch. Though similar in appearance to a removable denture, this particular prosthesis is permanently joined to the supporting implants with retaining screws. Of course, the application requires careful pre-planning, which includes making sure you have enough healthy bone to support the implants. We'll also need to determine how many implants you'll need (usually four to six for this application) and create a surgical guide to place them in the best location for supporting the prosthesis. A dental technician will then create the prosthesis to match your jaw ridge contours and facial structure. Using implants this way has a benefit other types of restorations can't provide: they may help stop future bone loss. The jawbone life cycle depends on stimulation from the attached tooth as you bite and chew — stimulation that ends when you lose the tooth. Traditional dentures and other restorations can't replicate that stimulation. Implants, on the other hand, directly encourage bone growth and can stop gradual bone loss. 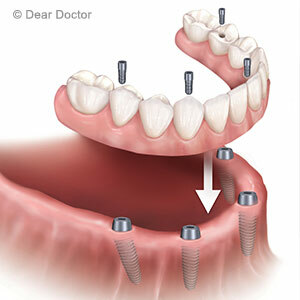 If you need some form of total teeth replacement, consider one supported by implants. You may find they'll provide an excellent long-term solution to both function and appearance. If you would like more information on the different applications for dental implants, please contact us or schedule an appointment for a consultation. People often put a premium on appearance when deciding whether or not to replace a missing tooth. There's more motivation to replace one in the “smile zone,” where the teeth are more visible, than one that's not. But even if your missing tooth is in the back out of sight, there are still good reasons to replace it. That's because even one lost tooth can have a cascading ill effect on other teeth, the underlying bone or eventually your entire facial structure. The chief problems caused by a missing tooth occur first with the bone. The act of chewing generates pressure around the teeth. The teeth transmit this pressure through the roots to the bone, which stimulates the bone to grow and remain strong in support of the teeth. When you lose a tooth, the bone no longer receives this growth stimulation. In time, the replacement rate for older bone cells will slow down and cause the bone volume to decrease. It's possible to detect a change just months after losing a tooth: you can lose an estimated 25% of bone width in the first year. As the bone diminishes, the jaw loses height and then more width. The gum tissues will also gradually decrease. As a result you may not be able to chew or even speak as well as you once could. Depending on the number of teeth you've lost, the foundational portion of the jawbone — the basal bone — may also decline. The distance between nose and chin may decrease and the cheeks sink in. Without bone support in the rear, the bite can collapse and push the teeth forward out of their normal position. The best way to avoid this debilitating spiral is to replace a tooth as soon as practical. There are many options, but perhaps the best choice is a dental implant: not only will it provide a life-like appearance, but its affinity with bone will stop bone loss and even encourage new growth. So, don't neglect replacing that “invisible” tooth if it's lost. Your mouth and ultimately your appearance will be better for it. Are You Maintaining Good Oral Hygiene? What Is Causing My Bad Breath? When Do I Need a Crown or a Bridge? What Happens During a Six-Month Dental Visit?